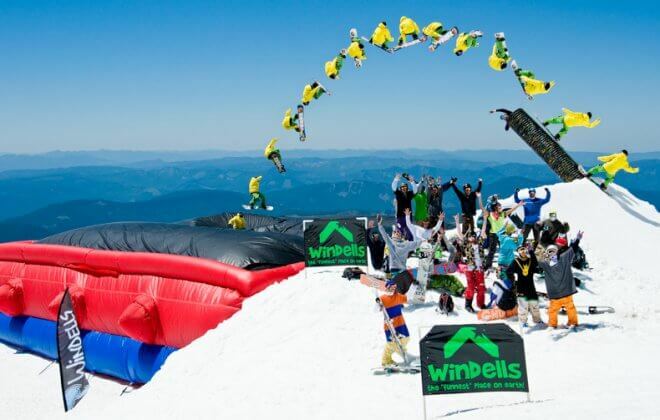 BAGJUMP® Airbag Rental and Marketing - Upgrade your event! BAGJUMP® airbags offer customized solutions to transport your advertising message. 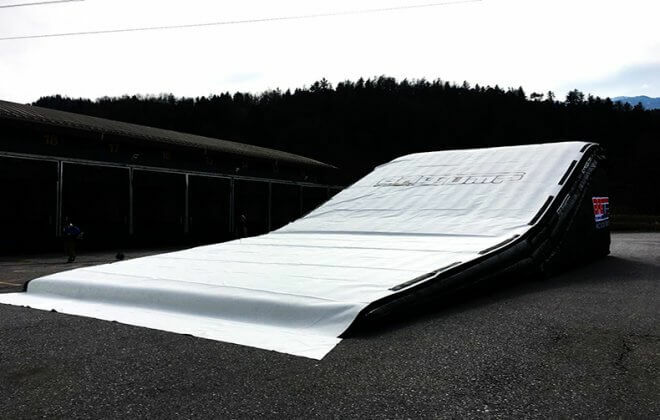 Photorealistic permanent airbag branding solutions and/or the intelligent bannering system with replaceable Topsheets, wraps and sidewall branding make the BAGJUMP® airbags an incredible marketing tool. 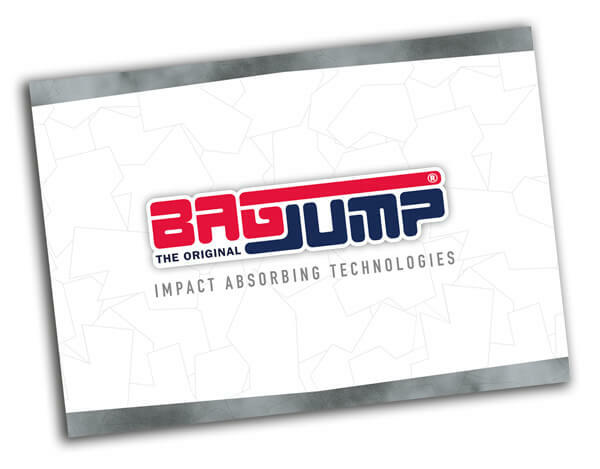 Simply by its size BAGJUMP® airbags are highly attractive for sponsors to present their advertising message directly to their target audience at events or at permanent installations. 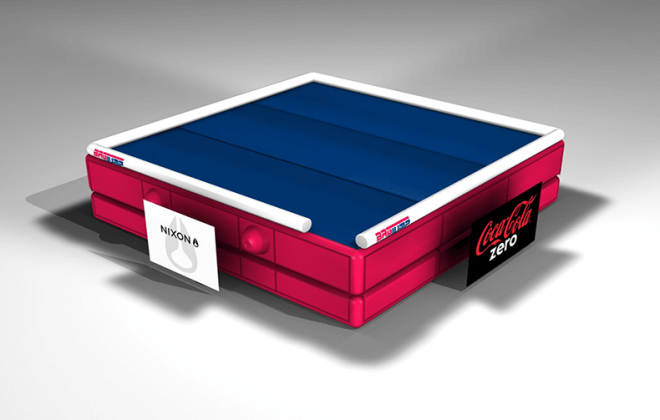 By selling the advertising space the investment of a BAGJUMP® amortizes quickly. Thanks to the modular architecture of the velcro fields on every BAGJUMP® airbag it is possible to have several different sponsors present at once or have seasonal/event based interchangeable messages or designs simply attached by velcro. 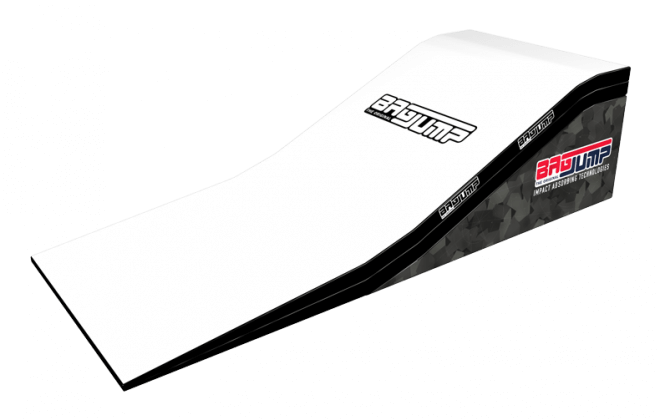 As the worlds leading airbag manufacturer, we at BAGJUMP® proudly have all of our products available for rent. 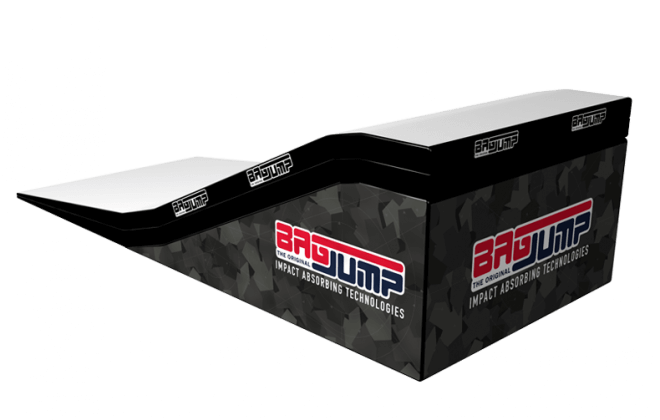 Upgrade your event with a BAGJUMP® attraction! BAGJUMP® airbags are huge crowd pullers due to their size and being in the media spotlight as over 1000 Events that booked a BAGJUMP® product in the past 10 years show. Along with our worldwide event insurance, every rental comes with a minimum of one BAGJUMP® certified operator for your peace of mind and to make sure all runs safe and smooth. As perfectionists we take great care of our or clients providing full organization of all BAGJUMP® surrounding structures. We‘ll design and organize your jump tower along with the necessary safety certifications. Due to our professional sports background we‘ll organize and shape all features together with your crew. Planning and constructions dirt structures or scaffolds for your bike event from beginner to pro, we have the right solution and setup type ready for you! 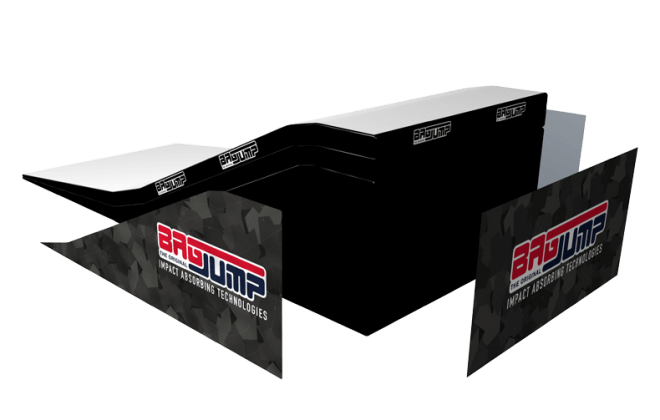 From your inquiry to the final design on your event setup, BAGJUMP® assist you in every aspect in the most professional and timely effective manner. 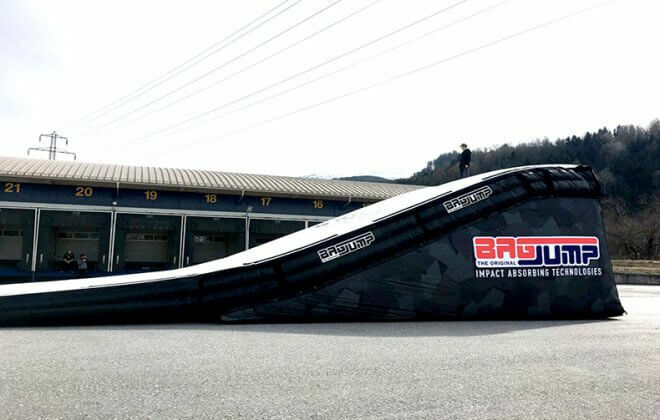 Rent the BAGJUMP Foam Pit Airbag Standalone or Allround Freedrop attraction for your event! It‘s a safe and thrilling experience for all age groups and skill levels alike, pulling huge crowds with this large attraction being visible from far away. 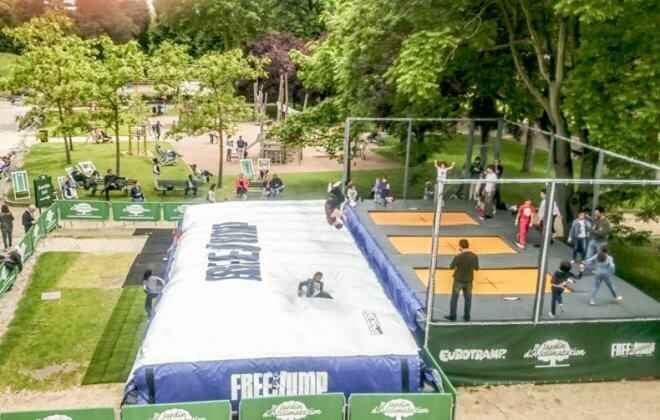 Bagjump airbags, depending on the product of choice, allow a jump frequency of 1 jumper per 40-60 seconds offering the freedrop experience to a large crowd without major lineups/queue. Ad more excitement to your BAGJUMP® Freedrop event by booking our professional stunt team for breathtaking performances with technical jumps up to 65m. 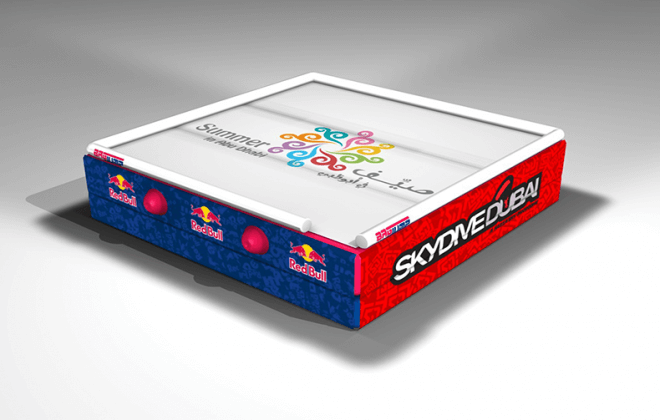 Rent the Bagjump Foam Pit Airbag Standalone or BAGJUMP Allround Freedrop attraction for your event! It‘s a safe and thrilling experience for all age groups and skill levels alike, pulling huge crowds with this large attraction being visible from far away. 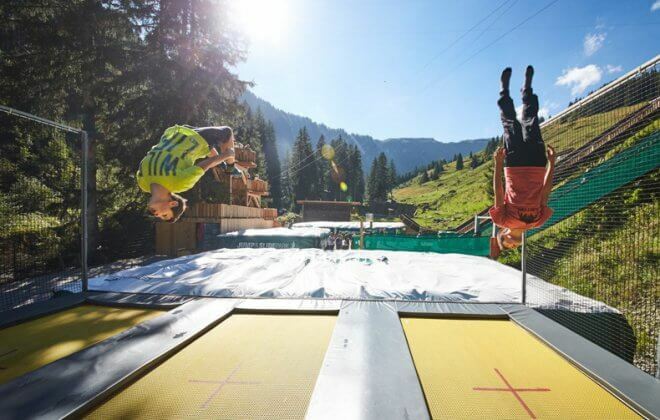 Bagjump airbags, depending on the product of choice, allow a jump frequency of 1 jumper per 40-60 seconds offering the freedrop experience to a large crowd without major lineups/queue. Ad more excitement to your BAGJUMP® Freedrop event by booking our professional stunt team for breathtaking performances with technical jumps up to 65m. 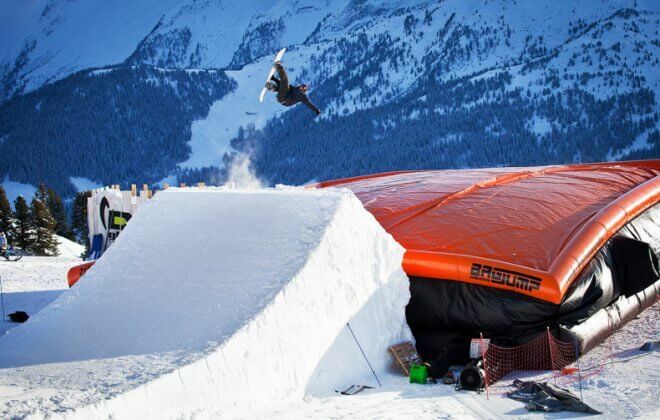 Rent the BAGJUMP® Landingbag, Foam Pit Airbag Standalone or Allround airbag for your winter event! Like landing on a cloud it‘s the safest way to learn new tricks! Also available for summer with artificial snow surface setups! We help you shape the needed snow features together with your park crew to make sure it fits the skill level and age group of your event's participants. 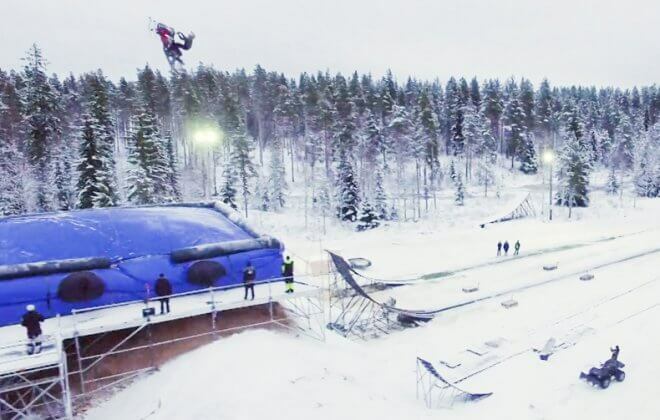 From beginners to Olympic training sessions our team has 20+ years of experience in building snow structures making sure to provide you with the safest setup possible. Ad more excitement to you BAGJUMP® snow event by booking our professional snowboard or ski athletes for coaching and show performances. 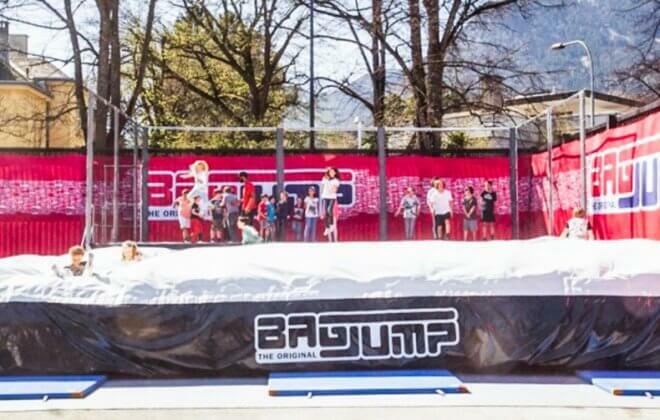 Rent the Bagjump Foam Pit Trampoline Airbag Station for your event! 1-3 Lane Trampoline Stations with high-performance trampolines jumping into the BAGJUMP® airbag is great fun for everyone. 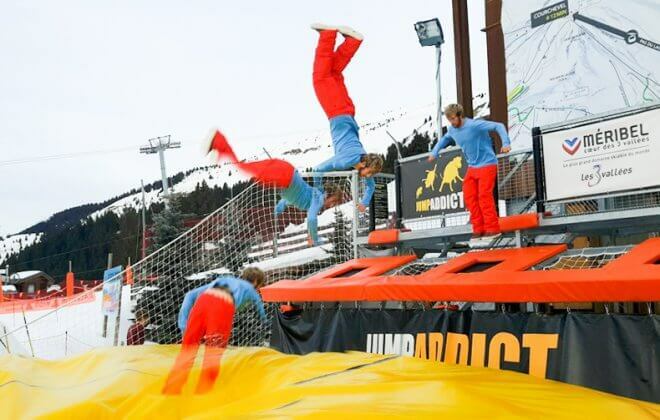 It‘s like a miniature trampoline park paired with the most popular feature: Leaping into an airbag! Ad more excitement to your Trampoline Airbag Station by booking our professional trampoline and gymnastic athletes for coaching and show performances! 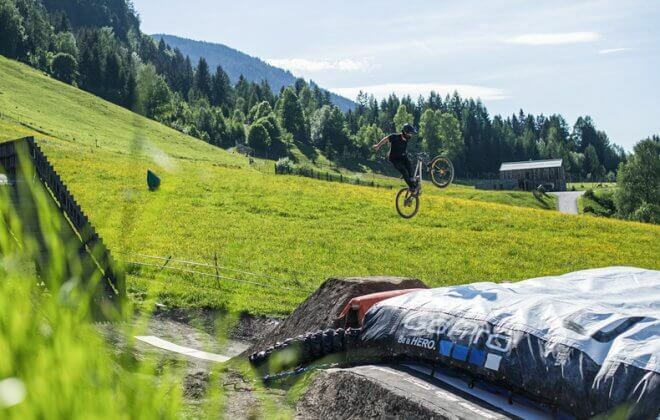 Rent the BAGJUMP Landingbag, Bagjump NIP or BAGJUMP Allround airbag for your Bike Event or professional training session! 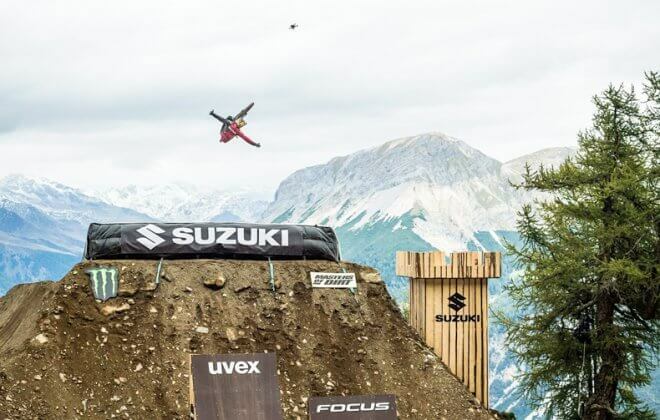 Like landing on a cloud it‘s the safest way to learn new tricks on Bikes and/or FMX! 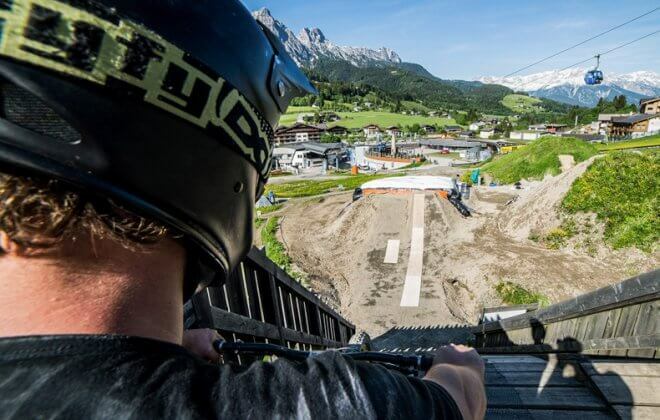 From beginners to professional training sessions our team of former professional athletes has 20+ years of experience in building jump structures making sure to provide you with the safest setup possible. Ad more excitement to your Bagjump event by booking our professional snowboard or ski athletes for coaching and show performances! 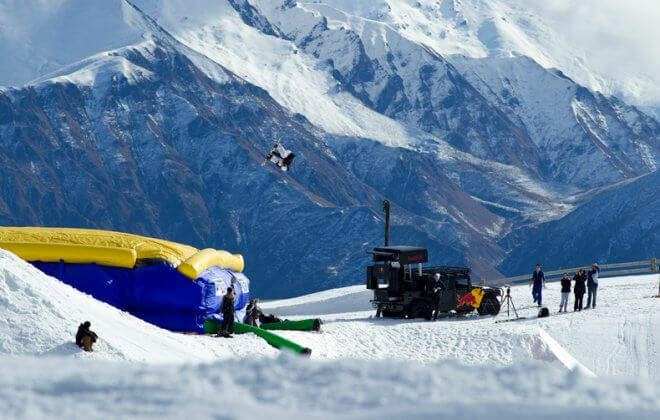 Ad more excitement to your Bagjump event by booking our professional snowboard or ski athletes for coaching and show performances! The branding elements „soft touch“ are made of a lightweight, tear resistant sublimation printed material and are ideal for a temporary or permanent color change. The BAGJUMP® offers a perfect opportunity to approach the target group right at the Point of Interest. It is the center of attention at events and an eye catcher simply by its size. Let us consult you on permanent or replaceable bannering solutions depending if you buy or rent your Bagjump product. Due to our velcro bannering system mounting banners is as easy as it gets. Nylon banners can be printed as you wish (digital print) and can be equipped with velcro strips. The flexibility of our replaceable and permanent branding enables you to sell advertising space for single events or premium longtime sponsorships. This way your BAGJUMP airbag can generate additional revenue. 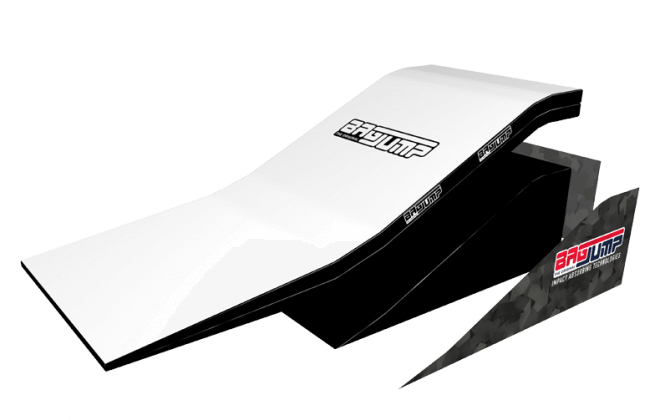 Permanent Branding - We can print an optional permanent branding on the sidewalls of your Bagjump airbag. Sidewall Branding - Made of durable nylon, the side banners with a digital print are exchangeable and available as a single banner or wrap. Topsheet - Choose your Topsheet from our standard color range or order it in your custom color. Element Branding - This is the entry class and low-priced option. Scaffold Branding - The Scaffold cladding is made of wind permeable mesh material. 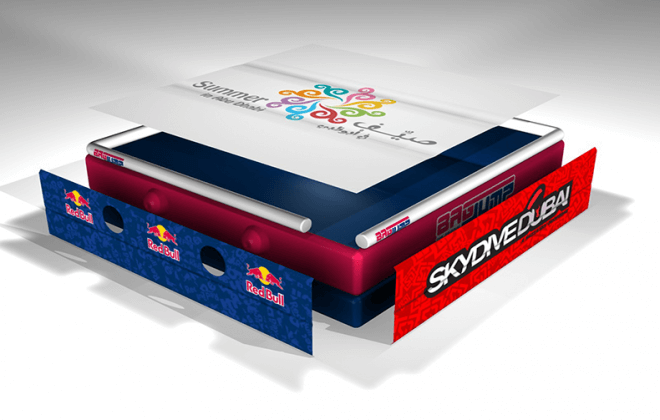 The replaceable brandings make the BAGJUMP an extremely flexible advertising space. You can choose between different options: Topsheet, wraps (4 sides), side banners (1 side) and elements offer several possibilities. 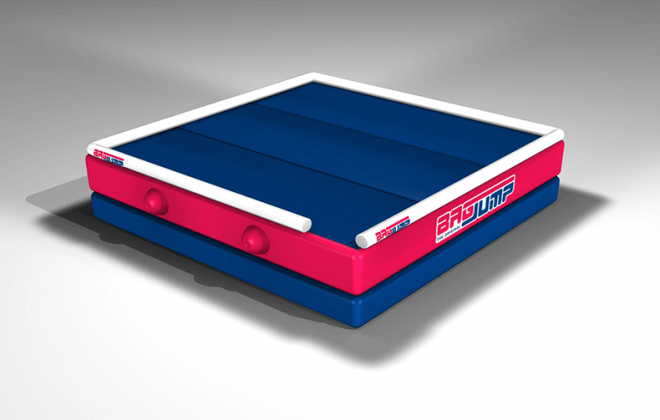 The brandings are delivered with velcro strips custom fitted to your BAGJUMP. The effort for assembling the brandings is minimal and can be done quickly by 2 persons. The branding is simply attached to the uninflated BAGJUMP with the velcro straps. The disassembly is also done in an uninflated state. 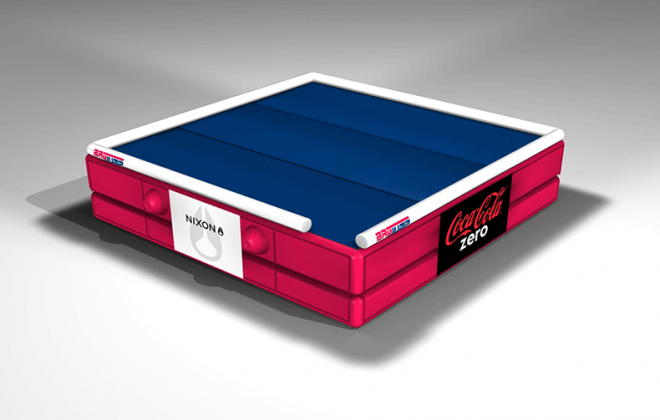 After inflating the BAGJUMP the branding is visible fold free on the sides. The tension of the BAGJUMP and the strong velcro keep the branding locked in its position.